In today’s business world, competition is everywhere, even for most unique of companies and in the battle of acquiring more customers, firms will use many strategies to keep their competitors at bay. Increasingly, price is considered as the ‘weapon of choice’. When the competitor undercuts the prices of your firm, it’s a given that you’ll either fight against it or take up the risk of losing out on a generous portion of your customer base to the competitor. 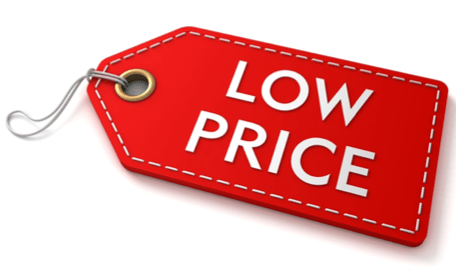 So, the question that needs to be addressed is: what should be the correct approach for dealing with a competitor undercutting your company’s pricing structure? Every businessperson’s nightmare is realised the moment a competitor enters the market with a similar product priced at a fraction of what they currently charge. This situation calls for a calm approach, in which you create a strategy that will successfully beat the low-ballers. It can be quite tasking to determine the impact a competitor’s lower pricing structure can have on your existing customer base. But, in order to create an appropriate response, you will have to identify the potential threat as early as possible. In some cases, business leaders are too focused on traditional competitors to recognise the emergence of new, low-cost competitors. This can prove to be an expensive oversight. Before you jump in, you have to figure out the reason behind the slashed prices of your competitors. It is quite likely that they have an excess supply of the product and they want to get rid of it as quickly as possible. The price changes may well be temporary, so it would be unwise to lower your prices based on a knee jerk reaction. Read up on trending industry news and competitor press releases before you take action and save yourself from a bad decision which could lead to bad debts. If you wish to overcome a low-cost competitor without compromising on profits, work towards shifting the way your customers think about your product. This perception should aim to divert the customers away from money, bringing the potential value of the product into the limelight. Irrespective of the price of your product, you have to work towards placing quality at the forefront and let the cost take a backseat. To effectively implement this strategy, you will be required to build strong customer relationships by way of marketing, communication and putting in conscious efforts to mitigate customer complaints. You cannot always win over your competitors’ prices, but you can certainly acquire more customers by offering exceptional customer service. 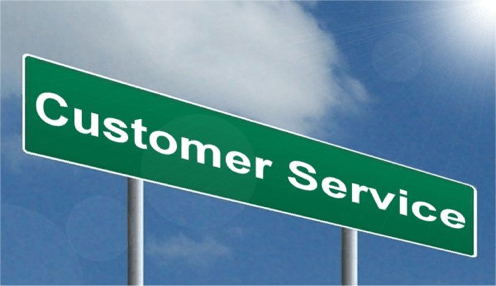 Only by providing exemplary services can you encourage customers to boast about your business. When you go the extra mile, you develop a customer-friendly reputation and it shows that you care more about your customers, who often care more about that than pricing. Participating in price war does nothing but hamper your growth in the long run as it tends to drive down the profit margins for everybody involved. Stay firm on your prices and direct your resources towards value by creating more free content on your website and on social platforms. If you do this, your customers will increasingly consider you as a trusted authority which will completely justify your prices. Dedicate your commitment towards value and refrain from using lower prices as a solution. It can be difficult during tough times, but it’s important to rid yourself of any self-defeating thought that people aren’t spending anymore and that price is the only factor in their decision. Always keep in mind that when the value of your product exceeds the value of your customer’s money, you are in a great position. Another aspect to bank on is business networking. If your networking is strong, you will have a constant flow of customers even when times are tough. It’s not possible to cut down prices without creating a product of lower quality. Nonetheless, bridging the gap between you and your undercutting competitors could be attained by making alterations to the production strategy, thereby decreasing the overheads. Say for example, you can make use of an online invoicing or online terminal. This way, not only will you lessen the firm’s paper waste, but also cut down the operational expenses. Only a few alterations in the operational and production strategies would contribute towards lower prices. The most obvious solution to deal with undercutting is perhaps to lower your own prices to remain competitive. But would a level-headed business person make such a decision? Once you start dropping your prices below your competition, there is no doubt that buyers will come rushing to your door, but you’re playing a dangerous game. Adopting this approach will land you in a raging price war and it’s important to remember that there are no winners in a price war. At best you’re only likely to survive, not thrive. Even if you succeed in beating out the competition, it is very likely that you may not have much left when the battle is over. You can also concentrate on your competition’s weak points in other areas and cash in on that by bringing product differentiation into the picture to appeal to the customer’s needs for characteristics or benefits that they won’t get from a low-cost competitor. Make the more attractive customers your focal point and leave the less profitable ones to your new rivals because not all customers are equally valuable. Once your rivals take such customers off your hands, you are left free to concentrate on the ones that work for you and make your business profitable. 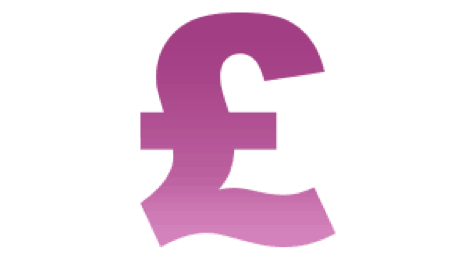 At Northants Accounting, we help you master the tactics of dealing with price undercutting, get in touch with us today and we can help formulate an ongoing strategy.